As a former Olympic host city situated next to the Rockies, sports and active lifestyles are a part of Calgary’s soul. It’s no coincidence that Sporting Life chose Calgary as the place to open their first store outside of Ontario. 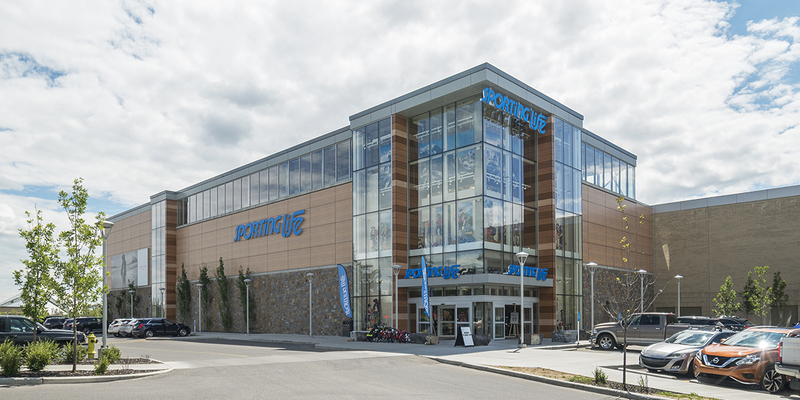 Canada’s most prestigious sporting goods, lifestyle and “fash-letics” retailer opened the doors to a new 46,000-square-foot-space at Calgary’s Southcentre Mall in 2016 to blend the best in fashion, sport and customer service. Get an inside look at the new store from Family Fun here. 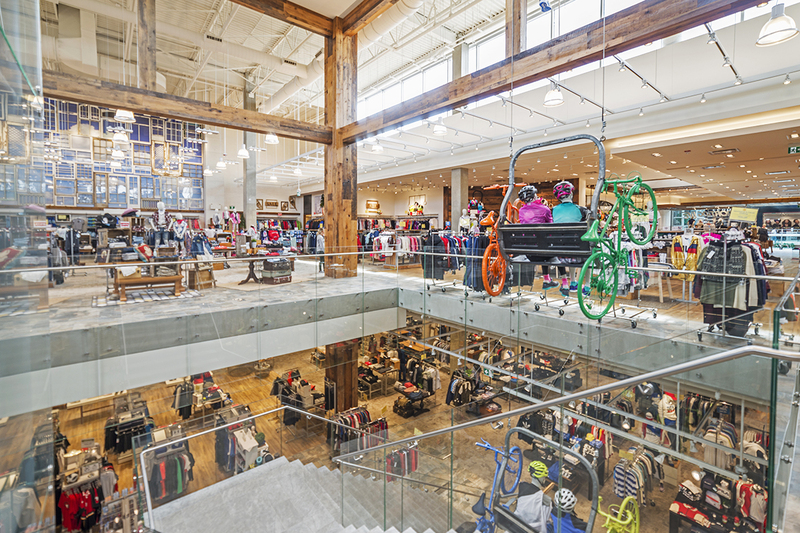 To provide a grand entrance to the Sporting Life retail store from the existing mall, renovations to the existing mall structure were necessary. Various options were investigated, including the removal of existing building columns, until the proper design solution was arrived at. The final design called for the introduction of new skylights and associated roof framing to introduce natural light into the mall corridor. Challenge: The building column grid proposed by the client was about a 10 meter (33 foot) maximum span. 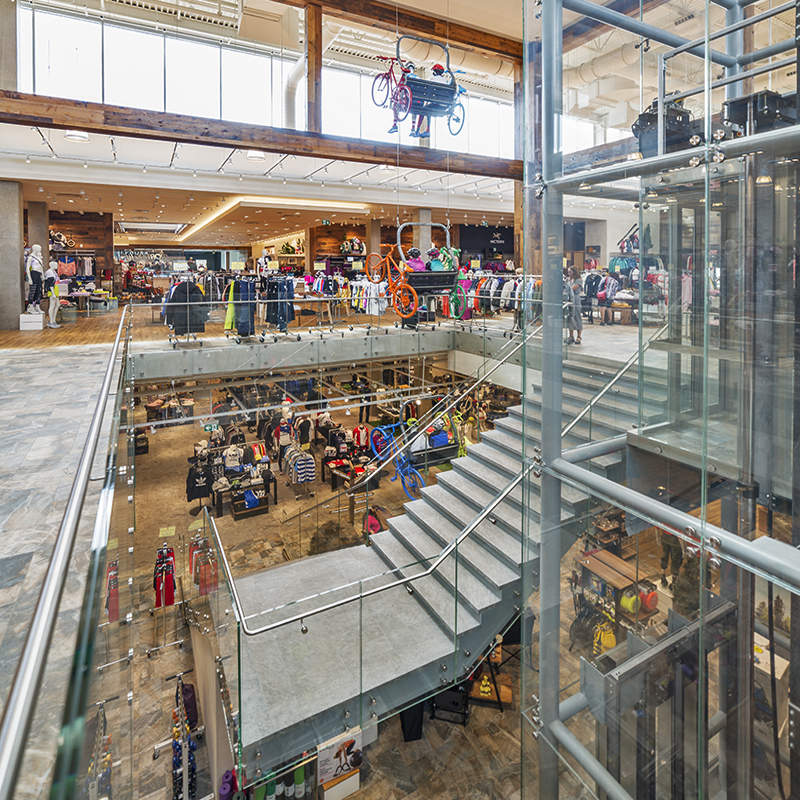 Our structural challenge was to achieve this span while maintaining acceptable floor-to-floor heights and work within the existing mall floor elevations. Solution: A sleek, two way slab system with continuous drop panels was determined through high-level computational analysis to be the most feasible structural system. 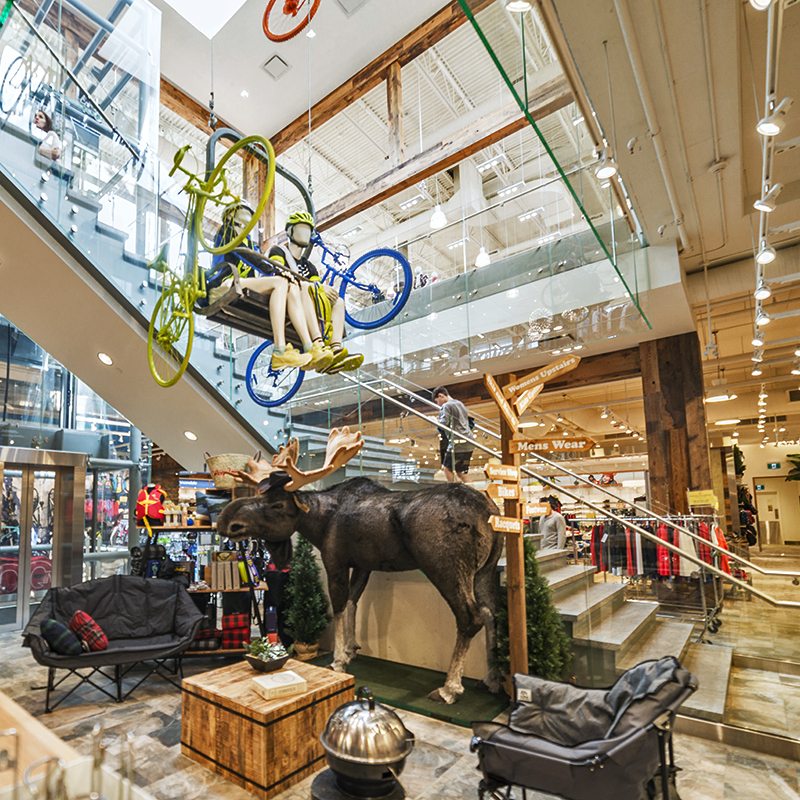 Challenge: Sporting Life was looking for a two-storey volume on the retail side of the store to achieve an open, natural feel. Solution: To achieve the envisioned design, tall, slender structural columns spanning 9 meters (30 feet) from the second-floor slab level to the underside of roof structure were required. A light-weight roof structure was beneficial in reducing the structural demand on these columns. Still, second order buckling analysis was conducted to achieve the required structural design. Challenge: A seamless transition from the existing building’s façade to the new building needed to be ensured, while maintaining and architecturally appropriate and feasible structural grid. Solution: It was determined that the second-floor slab would cantilever 4 meters (13 feet). The slab elevation of the new building had to meet the elevation of the existing building at both the time the store opened and after several years of structural deflection and creep. Detailed slab camber calculations were conducted to ensure the long-term deflections of the slab edge were within acceptable limits with respect to the existing building structure.